Pest Control Company Sacramento: Are Pests Targeting Your Home? Why Are Pests Targeting Your Home? 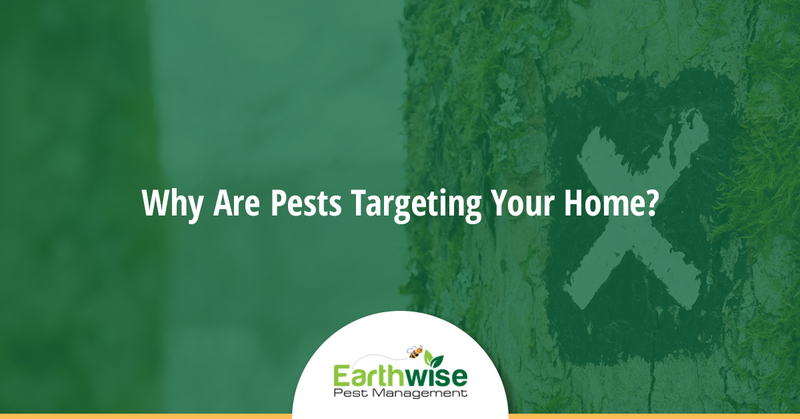 While it may be nice to think about, there are simply some homes that are much more prone to having pests invade them than others. If you didn’t know this, we’re sorry to be the bearers of bad news, but it’s true. This could come as welcome news to you, however, if you have been struggling to figure out why you are continually having issues with pests being in your house. There are ways to remedy this problem and we are here to pass them along to you. Continue reading below to discover what you can do to ensure that infestations don’t keep happening in your home with the help of your local Sacramento exterminator. It’s time to start fighting back! As homes get older, they begin to wear down. Whether there are cracks or holes in the wood, plaster, or insulation, chipping paint, peeling siding or something else, aging homes have their fair share of issues. Even worse than that, rodents and other pests can exploit this aging and make it far worse than it would be if they were not contributing. If you live in a home that is older, the chances of you having a pest infestation are much higher than it would be if you were living in a brand new house. In this case, we would suggest that you have your home checked for pest vulnerabilities at least twice a year. Remember, prevention is key if you don’t want your home to suffer extreme damage due to pests. If we’ve said it once, we’ve said it a million times, but leaving out food remains or trash is the fastest way to attract pests. The best way to prevent them from arriving, therefore, is to deprive them of these things that they love so much. Throw out your leftovers once they are no longer good to eat, don’t leave out dirty dishes, clear tables of crumbs and wash all of your kitchen surfaces after you have finished using them. Additionally, you may want to consider investing in some hard plastic containers to store your cereals and pasta in, as rodents have no problem chewing through the packaging these foods are sold in. Homes that have a lot of clutter are bound to have more pests than those that don’t. This is because pests are quite shy and they like to have plenty of places to reside where they cannot be spotted. If they are able to get into boxes, cabinets, piles of objects, and other clutter, they absolutely will. Clutter also allows a place for pests to build their nests and hide their offspring. Let us tell you right now, you do not want a rat nest in your home by any means. Just as humans do, all other living things require water in order to survive. Most pests actually drink water whether you can believe it or not. When your home is humid, pests are naturally attracted to it. You can invest in a dehumidifier to help eliminate this issue. Need A Pest Management Solution? If you feel as though your home is infiltrated by pests more than others then it is time to find a permanent solution. When you hire Earthwise Pest Management, you can be sure that you will have a team of passionate and well-versed pest removal professionals working for you. Contact us today to learn more about how we can help you or to get a free quote! We look forward to making your home a safe space again.